Due to predicted winter weather, the Pickens County School District will be closed for all students and staff on TUESDAY, JANUARY 29, 2019. All school activities, including athletic events and after school programs, will be canceled. 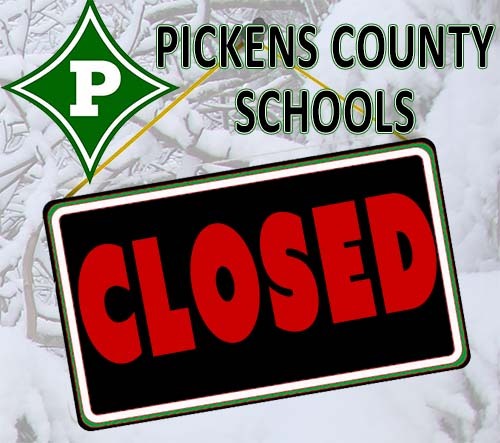 All Pickens County School District buildings will be closed.